In 1991, the government introduced the Child Support Bill which was designed to ensure that all parents who are liable to pay Child Support – otherwise known as Maintenance – for their children do so. The Child Support Act of 1991 was created to help combat the problem of non-maintenance paying parents who were refusing to help their partners look after their children by financial means. The law states quite clearly that every parent – if they are divorced or separated and no longer share the family home – have a legal responsibility to ensure that their child or children are provided for financially. As we are only too well aware, the cost of living rises year on year and so too does the cost of providing, clothes, footwear, education and a decent standard of living for our children. This is no more evident than in the cases of Single Parents who are struggling to make ends meet and have to turn to the government for support. The Child Support Act stipulates that each parent is responsible for the arrangement and Payment Of Maintenance for their child or children, and a failure to do so constitutes a breach of the Child Support Act. Child Support is an agreed amount of money paid each week, each fortnight or each month, and is designed to help with expenses for the children, such as clothing, footwear, and educational trips, and also to help provide a home that is fit for purpose. If a split is amicable, many couples arrange their children's financial maintenance on their own. When this happens there is no need for the Child Support Agency to become involved. However, the agency will enquire as to what arrangements are in place and if they are being honoured. When child support is no longer honoured, it may be because the individual responsible has hit upon financial difficulties or – in rarer circumstances – the individual simply refuses because he or she feels that because they have been separated from their children they should not have to pay. In these cases, the Child Support Agency will enforce the maintenance of any payments. What Power does the Child Support Agency have? The Child Support Agency – as governed by the Child Support Act of 1991 – has the right to demand back-payment of any maintenance that has not been paid for a child. With this in mind, however, there are those who still consider that they can shirk their responsibilities and give false information as to their financial status and even parentage. The Child Support Agency has the legal right to work in conjunction with other government agencies in order to detail a none-paying parent's financial status, if they work, and also can insist upon proof of parentage being produced. If they feel an individual has no intention to pay maintenance, the Child Support Agency can enforce an ‘Attachment of Earnings’, whereby they can contact an employer and instruct them to deduct the cost of maintenance from source, i.e. from their salary. If you would like to know more about the Child Support Act and the role of the Child Support Agency, visit their website at www.csa.gov.uk. @Seemychild. No if what you say is true, then the courts will endeavour to keep your existing arrangements in tact. I have had regular contac with my daughter , so regular you could class it as shared care. My ex is now trying to stop this with no rewsons what so ever . Will this hold up in a court.? 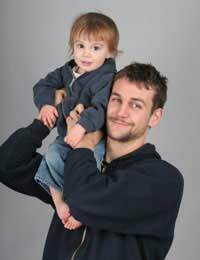 i was with my ex partner for 8 years when i met her she had a 1 month old son and i looked after him and brought him up and he calls me daddy but now we have been separated for 2 years and she has now claimed she is unfit to cope, do i have any rights in getting custody of my son even tho i am not named on any legal documents. but if i don't get custody he will be taken to another country 1000 miles away by the grandparents he has only met 2 or 3 times, my ex partner refuses to support me on this and she is happy for her son to leave, i know she has gave up on him but i have not. i am in need of advice as people keep telling me i have no rights and unfortunately i will just have to let this go, but i really can't is there any way around this, i work full time in an office 5 days a week between11 am and 11pm each night and live in a rented house . what is it i can do to keep him here in the same country with me?? We are grandparents who have looked after 3 grandchildren from2003 the youngest who is 12 is still with us. My ex son-in-law owes us approximately between £5000 and £6000 in child support arrears. He is a 'self employed builder'. Therefore very difficult to assess as a lot of his work is cash in hand.For the last few years he has been claiming benefits and we have been receiving £5 per week from these benefits (more than we had received before).I have justhada call from the CSA stating that from last November my ex son in law had been re-assessed As having a nil liability meaning we will get nothing. Can anyone tell me inder whatcircumstances this could happen?To makethings worsethis is one of only a very fewcommunications that Ihave received fromthem over the years. I feel gutted not about the £5 but the fact there seems to be total disregard for the hard work that we as Grandparent have put in over the last 10 years. My husband is 74 and i am 70 while we have given up our retirement years for our grandchildren he has beenon most days sat in the pub drinking . I do hope someone can enlighten me on this.